"Algonkian Writer Conferences, the New York Pitch Conference, and the editors of Author Salon have joined to mutually support and work with this new Algonkian Novel Writing Program which we feel is the best of its kind online, or off. It is rigorous, informative and challenging, taking the novel step by step from first line to denouement in a realistic manner unequaled by other classes or programs." Michael Neff is actively searching for high concept projects that can be transformed into films or books, or both. As a development editor he has edited scores of manuscripts and successfully published commercial works over the years including ON MAGGIE'S WATCH by Ann Garvin, MURDER AT BARCLAY MEADOW by Wendy Eckel, THE EDGE OF NORMAL by Carla Norton, and THE BLACK PANTHERS by Gina DiNiccolo, among many others. Novels ushered to commercial publication via his workshops include THE WISDOM OF HAIR by Kim Boykin, ORPHAN 8 by Kim Van Alkemade, DARK TURNS by Cate Holahan, THE GOAT WOMAN OF LARGO BAY by Gillian Royes, and THE FICTION CLASS by Susan Breen. In addition, he collaborates with Macmillan Entertainment to develop new high-concept projects for both film and print. He is a story creator and a development editor for MAGICIANS IMPOSSIBLE, an SFF novel by Macmillan Books, as well as a producer for the adaptation of the novel to a television series by Fox. Michael is also one of two Development Executives for AEI Films and Books in Los Angeles. Michael is the founder and director of Algonkian Writer Conferences and its associated events. In his capacity as the director of the New York Pitch Conference he works with senior publishing house editors to locate and tap potential in budding new authors working in a variety of genres including upmarket literary and general fiction, serious and light women's fiction, narrative non-fiction, historical fiction, mystery, SF and fantasy. Articles on fiction and novel craft written by Michael Neff include the Six Act Two-Goal Novel, Storyboarding Your Scene, Studies in Third Person POV, and more. Michael also contributes as editor and publisher to several journals and literary projects, including but not limited to Del Sol Press and the Del Sol Review. His own work has appeared in such literary journals as the North American Review, Quarterly West, Pittsburgh Quarterly, The Literary Review, American Way Magazine, and Conjunctions. 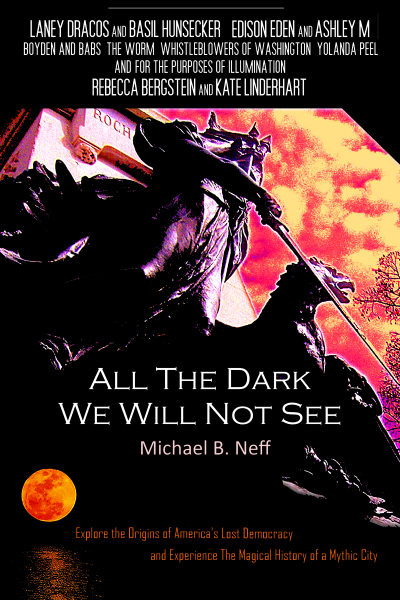 His novel, ALL THE DARK WE WILL NOT SEE, is published by Serving House Books. He was one of the winners of the first Imitation William Faulkner Contest sponsored by the University of Mississippi, and has served as judge for various writing contests, including the Writer's Digest Finalist Prize for best short fiction. He is a founder, contributing editor and content provider for Algonkian Author Salon and its novel writing program, and a founder and contributor to a popular writer blog known as The Writer's Edge that provides assistance to nascent authors. Paula Munier possesses broad experience in creating and marketing content in all formats across all markets for such media giants as Disney, Gannett, Greenspun Media Group, and Quayside. She began her career as a journalist, and along the way added editor, acquisitions specialist, digital content manager, publishing executive, and literary agent to her repertoire. She served as the Director of Innovation and Acquisitions for Adams Media, a division of F+W Media, where she headed up the acquisitions team responsible for creating and producing both fiction and nonfiction for print, eBook, eShort, and direct-to-eBook formats. As an agent, her deals over the past two years include a nice six figures for THE REGISTRY by Shannon Stoker; SNIPER by Vaughn Hardacker, DYING FOR ATTENTION by James Shannon, THE BODY LANGUAGE OF LIARS by Dr. Lillian Glass, TREAT ME LIKE A DOG by Larry Kay, THE FISHERMAN by Vaughn Hardacker, DISINTEGRATION by Richard Thomas, DARK TURNS by Cate Hollahan, DEATH DEALER by Kate Flora, ORPHAN #8 by Kim van Alkemade, AND HOT DOGS AND CROISSANTS by Natasha and Victorine Saulnier. As a literary agent for Talcott Notch, Paula's preferences include mysteries, crime/detective stories, thrillers, SF and fantasy (both adult and YA or MG), quirky women's fiction, and memoir. 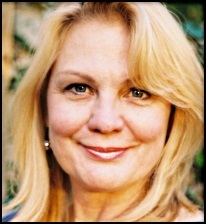 Paula is the author or co-author of several books, including HOT FLASH HAIKU, YES WE CAN: 365 WAYS TO MAKE AMERICA A BETTER PLACE, 101 THINGS YOU AND JOHN McCAIN DIDN'T KNOW ABOUT SARAH PALIN, ON BEING BLONDE, a YA suspense novel EMERALD'S DESIRE, and FIXING FREDDIE. 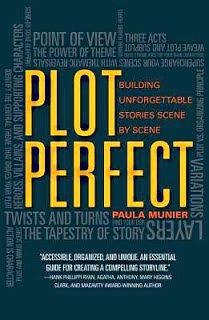 Paula is also very involved with the mystery community, having served four terms as President of the New England chapter of Mystery Writers of America as well as on the MWA board; and she's an active member of Sisters in Crime. Her book on fiction craft, bet casinoPLOT PERFECT, is one of the most sought after technique manuals in the commercial fiction business.